Wondering What are Social Media Assets? How to build Facebook / Instagram Assets? What are Twitter / LinkedIn Assets, GPlus / YouTube Assets? How to build them? Find out answers to all this questions in this article. 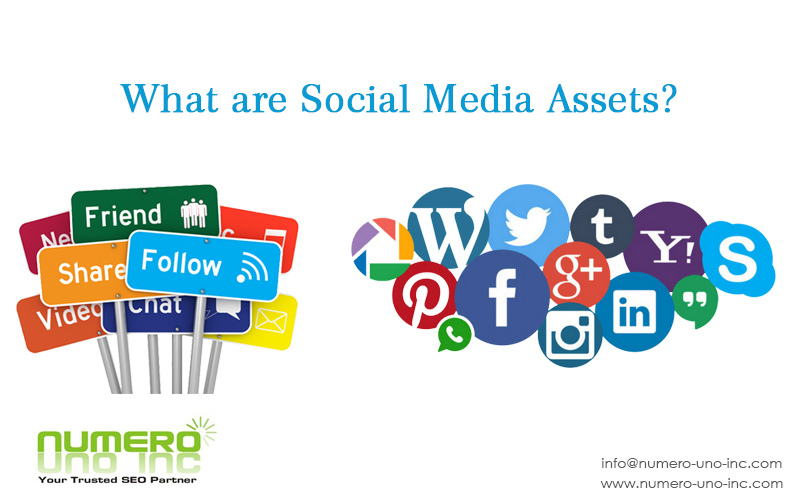 To understand what are social media assets and how to Build Social Media Assets, lets first try to understand what are Digital Assets & what are Social Media Assets in particular. In our previous blog on “How to Build Website Assets” we had explained that all our websites, email ids, blogs, subscribers, social accounts, followers, apps, download etc. are digital assets. Social media is very important because most of us are hooked on to them most of the time. Social media becomes all the more important for public figures like Celebrities, Politicians, and Brands etc. as they communicate with the large number of followers directly. In fact some politicians prefer to use social media over main stream media as they feel that main stream media are biased against them. Let us understand what we should consider as our social media assets. We can consider all the social media accounts & their urls, friends, followers, subscribers, viewers, likes, shares etc. as our social media assets. Social media in India is largely dominated by Facebook, Twitter, LinkedIn, Google Plus Instagram & YouTube. So let us understand types of assets in each of these. Facebook being the largest social media site in the world with over 200 crore users. Account – It is important for public figures more so as it appears on their websites, Wikipedia pages & also on search results. Friends – they are your biggest assets as you can influence their decisions in a certain way. Page URL – this is important for business as it is linked form your website & other social accounts. Followers – they like & share your posts & hence add value to your asset. Twitter is more an exchanges of thoughts & views. 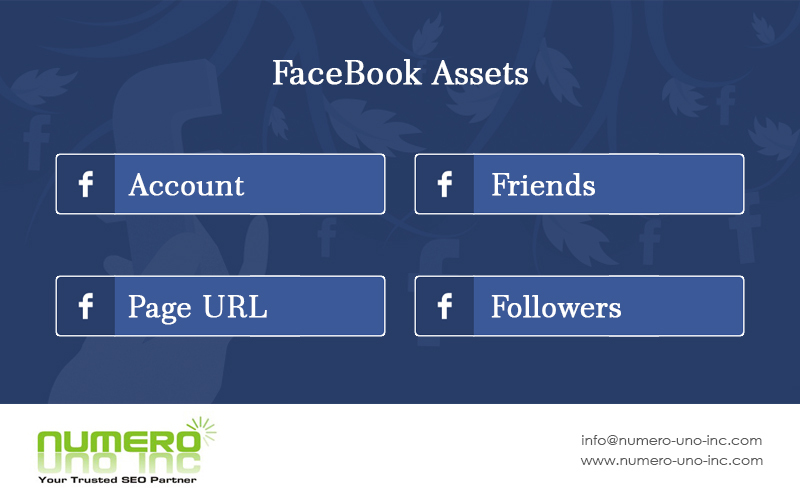 It is 2nd largest social media site with about 150 crore accounts & 25+ % are monthly active users. Followers – they are your biggest assets as you can influence their decisions in a certain way. 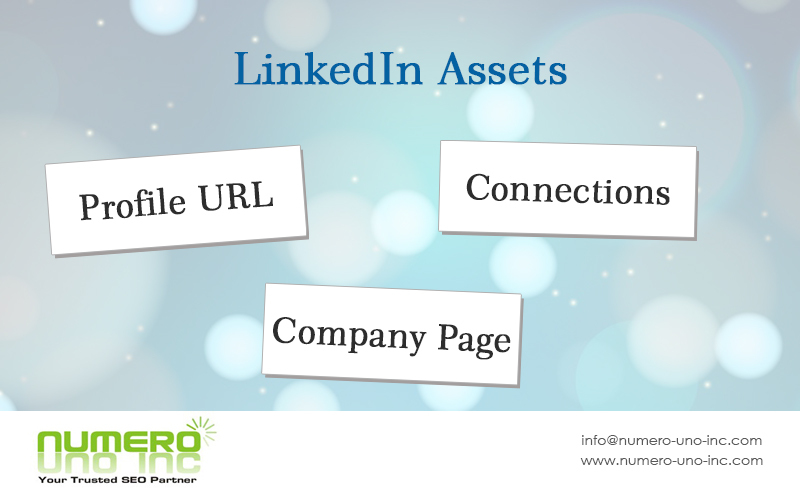 What are LinkedIn Assets ? LinkedIn is a professional media & in my opinion very rich media for all types of business people & professionals. This site has more than 467 million users & 57% of all LinkedIn traffic is mobile. Connections– LinkedIn is about professional networking & the more no .o connections you have ore is the value of your profile. Company Page – This is important as you share professional information regarding your services & products. You link your website to this as well. 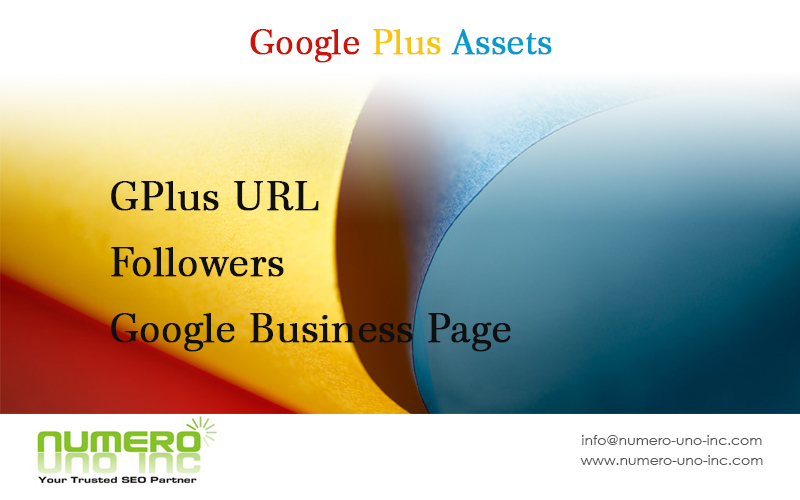 What are Google Plus Assets? Google Plus is important as it is a Google social media product & appears in many search results. Gplus URL – this were your profile & about us details are. Google Business page– the local businesses that appear in Google searches are these pages & also they are linked to business website. Instagram is a photo and video-sharing social networking service & widely popular too. 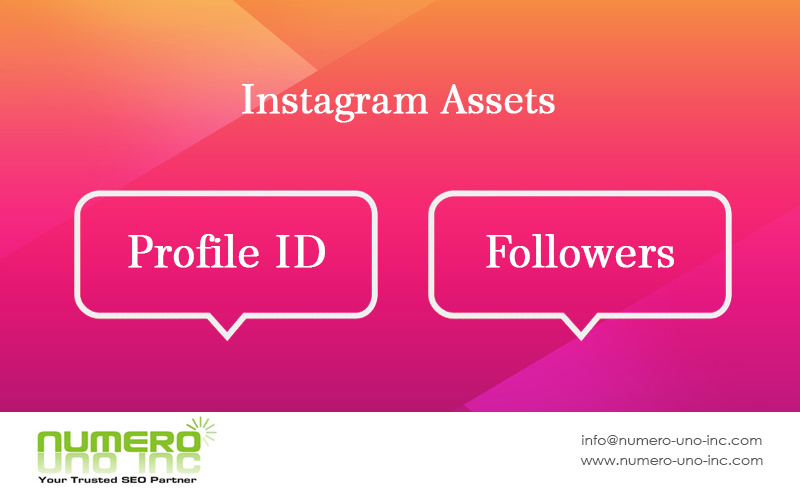 Your ID – This is how you are known on instagram & this is what you link to your website. 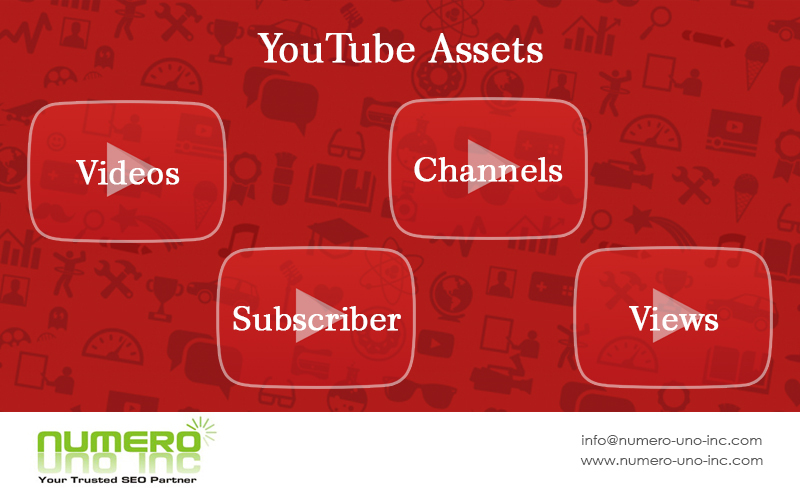 YouTube is largest video streaming site in the world. Videos – they are reason why you have visitors.Therefore they are crucial. Channels – Channel is where you have all your videos & you link it with your website too. Views – the more the number of views a video more likely of it featuring on top of search results & therefore more valuable it appears to a new viewer. 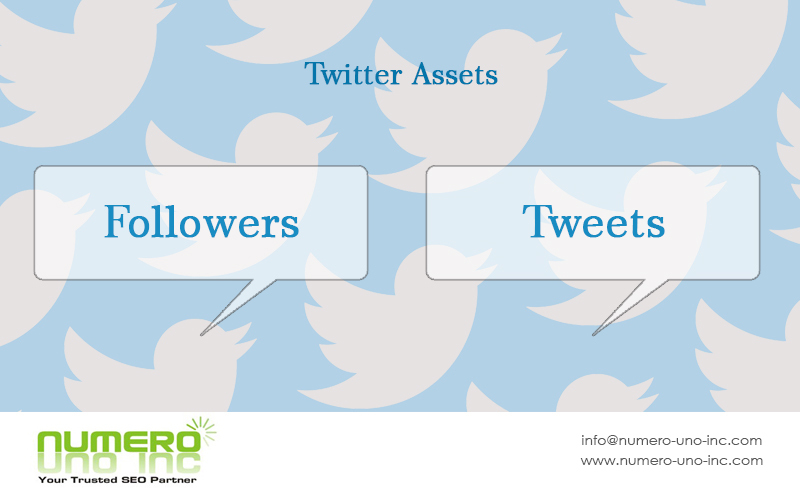 Now that we have identified the various assets on social media, we shall look to optimize them further in our next blog. So we hope this article has been informative. Don’t forget to share this article with your friends & colleagues. Subscribe to our blog to get the latest posts notifications as soon as it is posted. This entry was posted in SMO, Social Media Assets, Social Media Optimization and tagged facebook assets, google plus assets, instagram assets, linkedin assets, social media assets, twitter assets, youtube assets. Bookmark the permalink. Yes surely will keep posting more informative article. And yes go ahead create your blog too will surely like to read it too. All the best for your future endeavours ! I am really happy to glance at this weblog posts which consists of lots of valuable information, thanks for providing these kinds of information. Hey thanks a lot for the appreciation !